Udon no Kuni no Kiniro would be a typical slice of life anime series, if it were not for the element of fantasy blatantly apparent in the series. Several anime shows have dealt with the topic of an older single male looking after their child, such as Amaama to Inazuma (a 2016 summer series) or adopting a child out of pity, despite having no experience with children. Udon no Kuri no Kiniro is an anime series that is very similar to Usagi Drop – a 2011 slice of life anime series. Although Crunchyroll lists Usagi Drop as a Josei series and Udon no Kuri no Kiniro as a seinen series, the two shows both incorporate themes of fatherhood and new beginnings. In Usagi Drop, when the protagonist, also a thirty-year-old, Daikichi returns home for his grandfathers’ funeral he serendipitously encounters a six-year-old girl called Rin, who turns out to be his grandfathers’ secret lovechild (and his auntie). It is at this point, where the two plots differ. 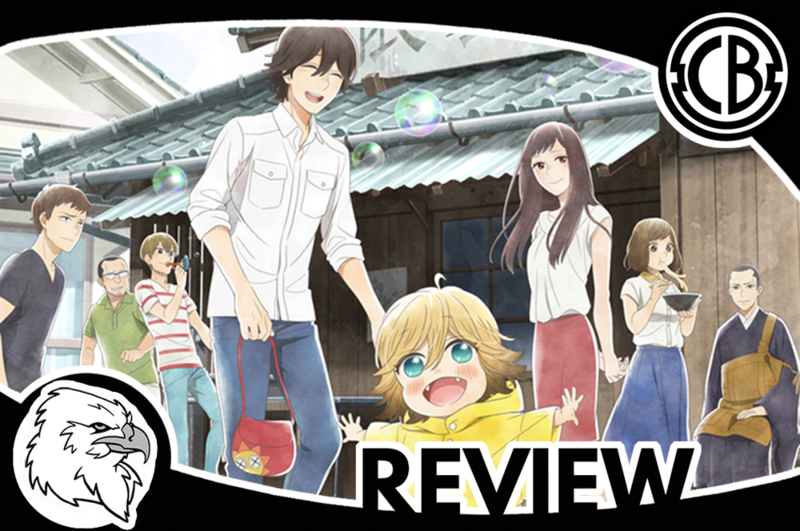 In Udon no Kuni no Kiniro instead of encountering a little girl, the protagonist Souta Tawara – a 30-year-old web designer from Tokyo – encounters a tanuki disguised as a little boy when he visits his family’s Udon place. It may be too early to say, but so far, this anime has yet to have grabbed my interest or attention. The aspect of fantasy in Udon no Kuni no Kiniro is the only novel feature about this series, and even then, the tanuki angle is no more original. Personally, right now I feel as if this anime is a compilation of copied, pasted, and edited anime shows. For lovers of the slice of anime genre, this show is guarantee to tick all the right boxes, but for those of you who appreciate a sense of ingenuity this anime is definitely a no-go. I for one will not be watching the rest of this series.